If you use Instagram, you're most likely familiar with the Explore tab—also commonly known as the "popular page." But how does one actually get featured on this page anyway? Having one of your photos or videos featured on the Explore tab can set off a viral effect that has the potential to attract hundreds or even thousands of likes, comments and followers in a very short period of time. Here's what we know about how you may be able to get there. According to Instagram, photos and videos shown on the Explore tab are tailored to how you use the app. So, the content that is displayed on this tab for somebody else's account might look a lot different from what's displayed when you're signed into your own account. Instagram says that you might be shown more photos and videos from people whose content you've already interacted with by liking or commenting on them, along with a variety of content liked by a large number of people on Instagram. It's a combination of overall popularity with a bit of personalization based on every user's own activity. 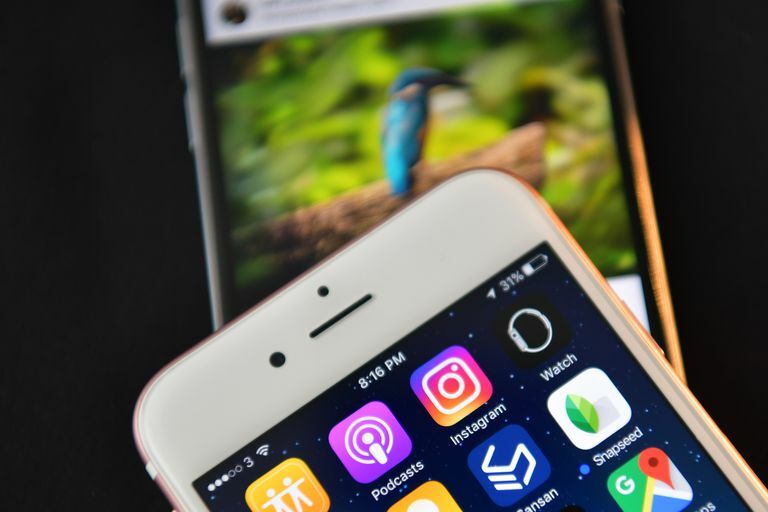 Although it seems kind of obvious that the amount of likes a photo gets would be enough to push a photo to the popular page, Instagram actually takes much more into account than simply the number of likes a particular photo generates. The formula used for displaying popular content it is constantly being tweaked, so whatever popular strategy worked a couple months ago may not work as well today. Given that there is no way to find out what Instagram's formula entails and that it changes all the time, the only thing you can really do step up your effort in building your Instagram presence. It will take time, and it will take hard work. So, are you ready to get down to business? Remember, it takes more than attracting tons of followers for no reason other than to up your numbers. Make sure you're posting quality photos that are worth sharing! If your Instagram profile is private, you won't show up on the Explore tab for anyone because your posts are protected from being seen by anyone who doesn't already follow you. You can turn your private Instagram profile to public again by navigating to your profile, tapping the menu icon in the top right corner, tapping Settings at the bottom, tapping Account Privacy and then turning the blue Privacy button off. Although this may not be a huge factor in determining photo popularity, Instagram probably looks at it to some extent. Chances are if your account is a couple of weeks old, it won't be as eligible for featuring on the popular page compared to an older account—even if it has tons of likes and followers. That just doesn't happen naturally in such a short amount of time, and Instagram knows it. It's still important to gain followers if you want to compete for popularity, but make sure you're getting more than just a follow out of it. Engagement is key here. Lots of users may have tens of thousands of followers, but if only a couple hundred or so are currently active, the rest of those inactive accounts won't be doing you much of a favor. Tell your followers to "double tap" to like your photo, or ask them a question in the caption and tell them to leave a comment. Another good technique to use is to tell followers to "tag a friend" in the comments to let them know about something. Getting more likes and comments may improve your chances of being displayed in the Explore tab by the followers of the users who are interacting with your content. Hashtags are a simple way to get quick exposure on Instagram, but using them can actually hinder your success of reaching the popular page. Use them sparingly. They're great if you'd like some initial engagement, but the likes you tend to get from including hashtags tend to be slightly robotic and not always genuine, so too many likes from people searching out those hashtags may not be so great when trying for the popular page. You're not going to receive as much engagement when you're posting a photo at 3 a.m. If you truly want to maximize your chances of your photo being seen, try posting at times of the day when you think people might be on their phones—like at lunchtime, after school or work and early on in the evenings. As mentioned previously, the most important thing you can do is regularly post photos that people will genuinely love to look at. If you feel kind of lost, take a few days to study what comes up on the Explore tab to get an idea. You'll often see lots of selfies, nature photos and even Instagram videos posted there. Finally, to get on the popular page, you must figure out how you can get lots of likes on your photo—from a combination of your followers and from others—in a very short amount of time. Instagram only looks at what's recently trending, so the faster you gain likes and comments on a photo, the higher chance you have of getting there. You might even want to consider the ratio between the number of people you're following and your followers. Who knows if Instagram looks at this, but it probably wouldn't look great to Instagram if you're following 100,000 people while you only have about 4,000 followers.